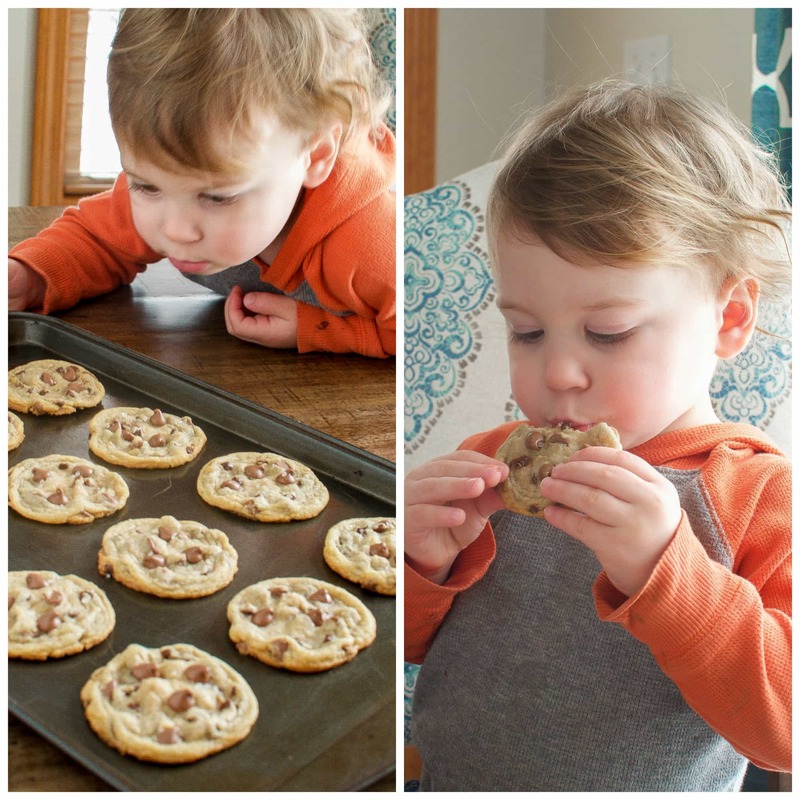 Chewy Milk Chocolate Sea Salt Cookies are for all you salty and sweet lovers! Crisp on the edges and soft and chewy in the middle. The perfect cookie! I am just going to warn you right now: these are seriously addicting!! If the sweet and salty combo isn’t enough, the buttery, perfectly chewy texture is enough to have you going back for seconds…or fifths!! 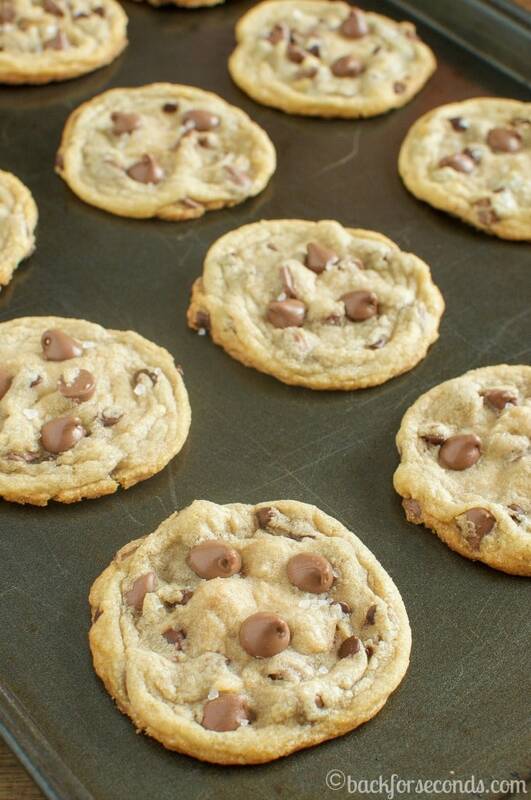 I have a recipe on here on How to Make Soft, Thick, Chewy Chocolate Chip Cookies. They are extremely popular. They get rave reviews. They have been my go-to cookie for years. But when you’re in the mood for a thin, crispy on the edges, chewy cookie – today’s recipe is your answer!! 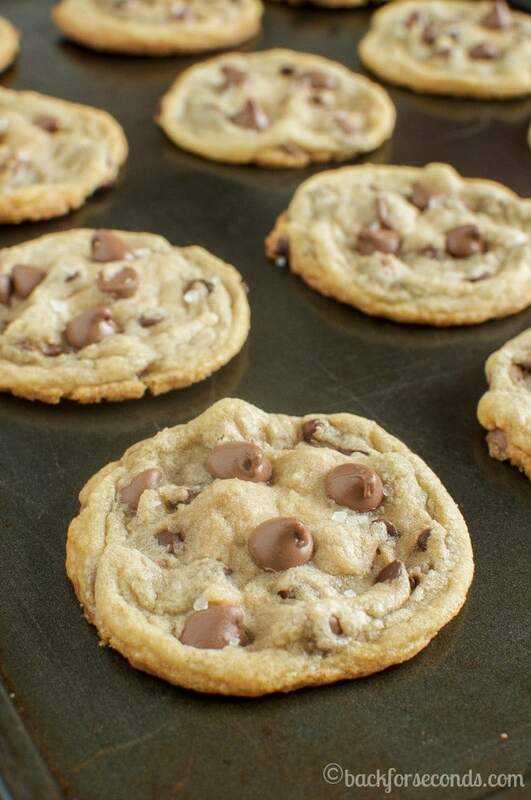 I used milk chocolate chips because they are sweeter than the usual semi sweet chips, and since I knew I was going to add the sea salt, they were the perfect choice to give a balanced flavor. These cookies disappeared faster than any cookie I’ve made in a long time. I wondered if my kids would like them with the sea salt…they did. They really did. And my hubby and I couldn’t keep our hands out of the cookie jar either. 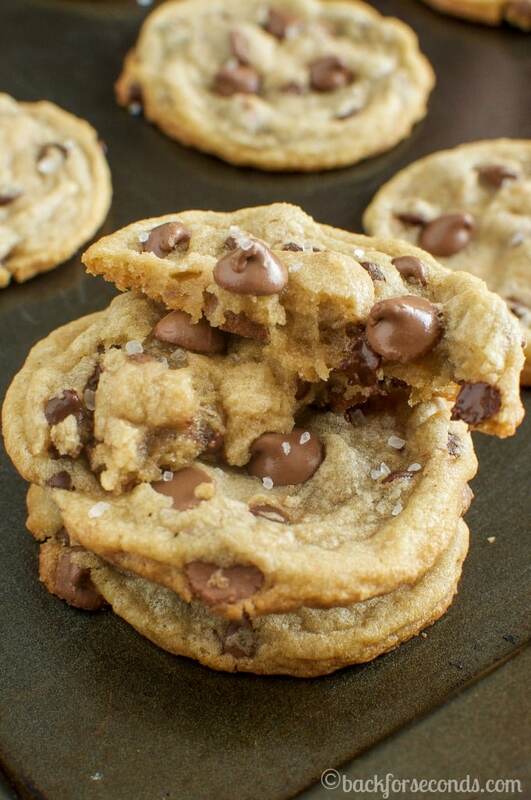 These Chewy Milk Chocolate Sea Salt Cookies have earned a permanent place in our cookie rotation! I hope you give them a try! These are my kind of cookies! I love my cookies thin but still chewy! These look awesome! 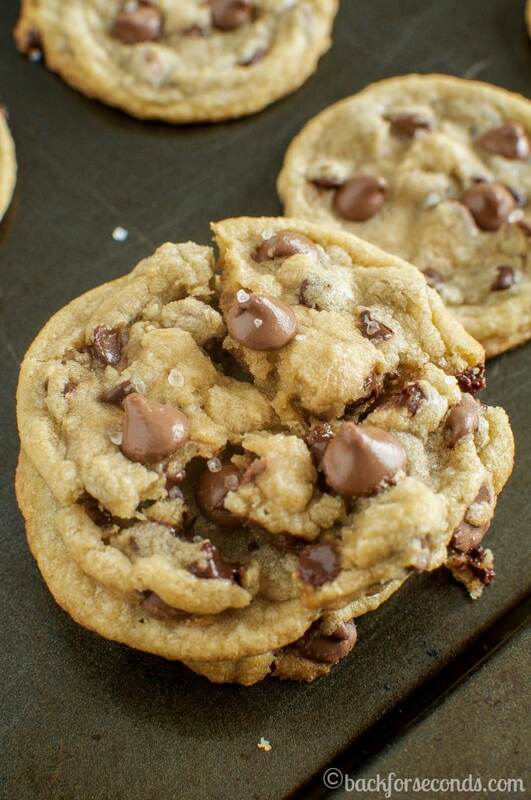 I love sprinkling sea salt on chocolate chip cookies! These look so good! I know most people love dark chocolate, but I think milk chocolate is where it’s at – especially with sea salt. Yummmm! They look so super soft and chewy! These would be my dream cookie! Your little guy is just so darned cute! I’ll bet he loves all the yummies that his mommy makes. He’s a lucky boy! BTW, you’re one of my favorite cookie and bar bakers. Everything you make looks so amazing! Oh yum! I want some! How much milk chocolate chips would you use if one was to leave out the mini chips? Hi Marcy! I would use a total of 2 cups of the milk chocolate chips. Enjoy! I made these cookies yesterday out of boredom, a couple of friends came over last night and the cookies a hit! Had to hide a few to give my boyfriend today!